Although long established as a watchdog for all environmental issues, the H&H Environmental Construction and Consulting family has taken the health and safety of microenvironmental issues to new heights. Most sellers check their homes for any major repairs necessary to obtain a sale of the property, but usually mold is not something they looked for. 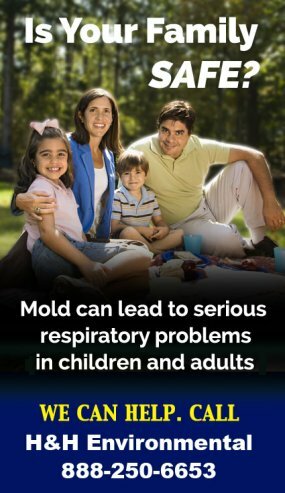 Home Inspectors will point out potential mold problems that need to be addressed. This report can potentially be a deal breaker If not addressed by a professional with the ability to warranty their remediation work.